1. Thanks to Maggie, I won a race entry to the Michelob ULTRA 13.1 Chicago, on June 7. I’ve ran this race in the past and have enjoyed it for various reasons. There was one year in which it was cancelled due to the hot weather. I was around mile 10 and told myself that I was almost done. Yep, sure was and had to walk the rest of the way. 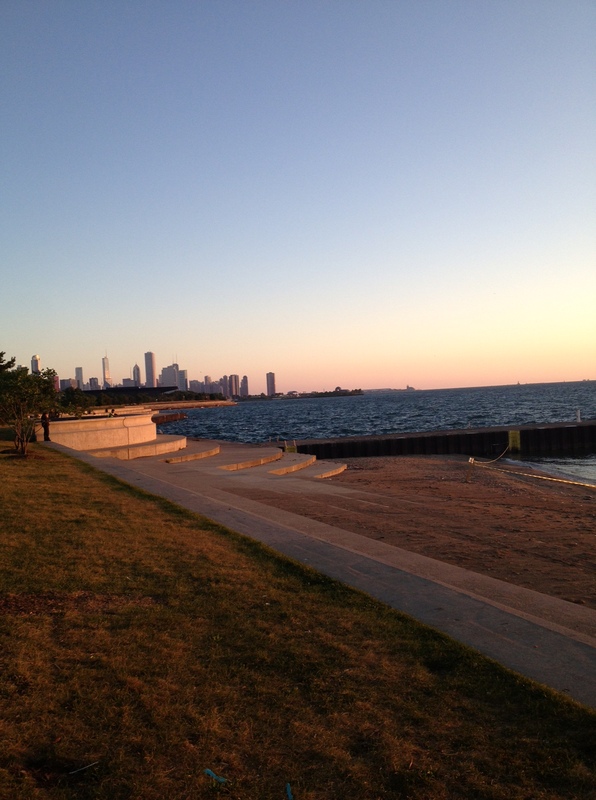 Sign up today as there is a great post race party and the view is phenomenal!! 2. 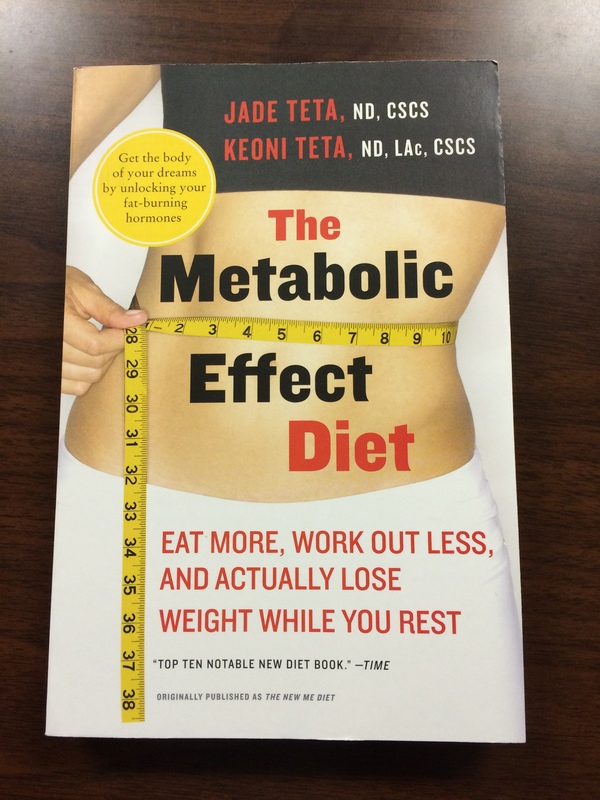 Have you heard of “The Metabolic Effect Diet”? Well, I am finally going to get a chance to read it. The idea is to lose weight/fat but you eat more and work out less. I first heard about it from Kim from (Just) Trying is for Little Girls but it wasn’t till I saw her post and pictures in mid-March that I bought a copy for me. She looks great and you can tell that not only has she lost weight but she looks more toned. Way to go Kim! 3. I am off this week for Spring Break and cannot believe it is already Thursday. It has been great staying home, relaxing, and catching up on Grey’s Anatomy. I began watching it last year via Netflix and made it to Season 8. Then I cancelled my subscription to Netflix because I was also paying for Amazon Prime which gave me access to many online shows. Well, after waiting a LONG time for the episodes to be available (and they’re still not available), I finally bit the bullet and renewed my Netflix subscription. Now, I am almost done with Season 9 and luckily episodes from Season 10 are on my DVR. Now off to rest and to start getting my stuff ready for Saturday. Yep, the big day for me…my second 50K. Congrats on your free race entry! I’m looking forward to hearing about your thoughts on the ME book and seeing what you do with it. Thanks. I am nervous but excited about the ultra. Congratulations on winning the race entry!!! Can’t wait to catch up with you there, it’s going to be a blast! I am also anxiously waiting to read your race report from the 50K this past weekend (CONGRATULATIONS on that, too!) I know things didn’t go as well as you wanted, but I still want to hear more details!! !